Get the bat specialists who adhere to Wisconsin DNR standards for bat conservation Bat Proofing from your property humanely for a permanent solution. Q: Bats scare me! What do I need to know? A: The most serious problems arise from the sudden appearance of bats and our panicked responses. Bats that appear in people’s homes are often lost youngsters who are at least as afraid of humans as we are of them. Bats are feared only to the extent that they are misunderstood. Our ignorance is frequently embellished with a great deal of myth and superstition. For example, people believe bats are blind and that they become entangled in people’s hair. None of this is true. Q: There’s a bat in my house, should I be concerned about rabies? A: Like most mammals, bats can contract rabies. However, the common misconception is that most bats are rabid. Less than half of 1% of bats contract rabies, a frequency no higher than that seen in other animals. And like other animals, infected bats will die quickly but unlike dogs and cats, rabid bats seldom become aggressive. It is always essential that people, especially children, should take caution about the potential dangers of contact with unfamiliar animals. They should be warned that a bat that can be caught, especially those found on the ground or in unusual places, is far more likely to be sick. For this reason, they should not be handled without protective gear. Children, in particular, should be warned never to pick up bats. The same caution applies to all wild animals. Even among sick bats, the vast majority is not rabid, but one should not take unnecessary chances with a fatal disease. In the event of any animal bite, medical advice should be sought immediately. Q: What do I do when there is a bat in the house? A: Remember to always remain calm. Try to isolate the bats to one room of the home and open the doors and windows to the outside to allow the bat to fly out naturally. A: No bats are not endangered species, but they are a threatened species, so most states treat them one and the same. Q: Is exclusion the only way to get them out? A: There are many ways to get bats out, but there’s only one approved method by the DNR and this is exclusion. This is the process we use and we follow all the DNR rules and regulations. Q: Is there a repellent I can use? A: Unfortunately, no ultrasonic or chemical repellent appears to be even moderately effective in eliminating bats from homes. Q: Will reroofing my home to get rid of my bat problem? A: No. Bats will seek to re-enter the structure through roof vents, soffit, fascia, valleys, and where roof lines meet. Typical construction tolerances will not keep bats from returning. Also, if the house is sealed tight, trapped bats will enter living spaces looking for a way out. Bat-proofing, allowing bats in-structure to leave, and sealing gaps thoroughly can help with your bat issues. Q: Can I share my structure with bats? A: No. Bat infestation causes a host of problems. For instance, bat urine rapidly decays the substrate it saturates. Bat guano contains respiratory diseases, most notably histoplasmosis. Bats themselves carry a parasite that can feed on humans. If bats are known to be in the structure, make use of our bat proofing processes. A: Yes. Bats have a tremendous impact on lowering the population of mosquitoes and other insects. Bats also play a key role in agriculture, primarily with regard to the pollen cycle. 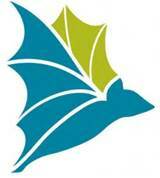 Bats are thus protected by the Federal Government and monitored by the USDA. Midwest Bat Specialists complies with these mandates and uses only non-lethal, chemical-free bat proofing techniques. A: Unlikely. After the insects go away from cold weather, particularly after the second frost, bats tuck in for the winter (hibernate). Some bats do not migrate and will climb down into stud spaces and burrow under insulation to survive the winter months. In a few cases, the bats actually stay active all winter long. Another factor is the span of a bat’s life. Bats commonly live into their late 20s. Each year a female bat will have 1 litter of 1-2 pups which also stay and reproduce. Thus, a bat’s long life coupled with reproduction cause the colony’s size to increase. One additional factor to consider is the scent. Bats chemically mark the structure which alerts any nearby bat that this structure can provide safe habitation. In light of these facts, it is very unlikely that the bats simply went away. When you choose Midwest Bat Specialists LLC. for your bat removal needs, you’ll get more than just tried-and-true bat proofing from trained professionals. Midwest Bat Specialists LLC. adheres to Wisconsin DNR standards for bat conservation. This means that we’ll never harm the bats we remove to ensure that no harm is done to the threatened bat population. You can rest assured that we’ll always handle your proofing with care and treat your home like it’s our own.